I only just finally got around to playing Call of Duty: Black Ops and I was surprised to find that I really enjoyed it. In the past I’ve been extremely hard on Modern Warfare 2, mostly for its poor level design, but also for its absurd story, wherein a supervillain tries to take over the world with his private military. 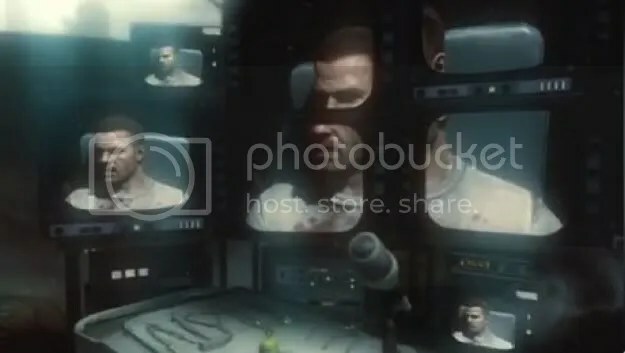 Black Ops’ story of Soviet conspiracy, brainwashing and dissociative identity isn’t much more grounded, yet I was able to invest in it completely. I think that the reason why Black Ops’ story worked so well for me was because it was completely upfront about exactly what its major theme was: Cold War-era paranoia. Protagonist Alex Mason wakes up in a dark room, tied to a chair, being interrogated by the mysterious, distorted voice of a distant shadow. He’s being tortured in a vague way, hallucinating and suffering total-recall flashbacks while numbers count off in his head. Right off the bat, Treyarch establish a tone of exaggeration and fiction; this isn’t the typical obstacle-course tutorial commonplace in the franchise.